Gall bladder cancer is cancer in the gall nladder which is a relatively uncommon cancer. Gallbladder cancer rarely produces signs and symptoms in the early stages. When symptoms do appear, they often resemble those of other, more common, gallbladder problems, such as gallstones or infection. Jaundice results from high blood levels of bilirubin. Normally, bilirubin is metabolised in the liver and eliminated through the bile ducts. But a blocked bile duct can cause bilirubin to accumulate in the blood. Loss of appetite or weightJaundice is the most common initial sign of bile duct cancer (cholangiocarcinoma). Blood tests: This is to check for elevated levels of bilirubin or the enzyme alkaline phosphatase. Ultrasound: Ultrasound is usually one of the first tests done in the evaluation of patients with jaundice and is especially good at diagnosing the presence of gallstones and obstructed bile ducts. It can also show the presence and extent of tumours. CT scan: This helps determine if cancerous cells have spread to the common bile duct, lymph nodes or the liver. 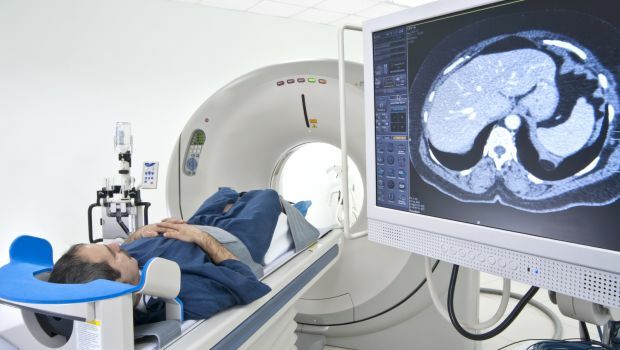 MRI: This test uses a powerful magnetic field and radio waves to create images and can help determine whether the flow of bile is blocked or a tumour has invaded the liver. Endoscopic retrograde cholangiopancreatiography (ERCP): This test is most sensitive for detecting an obstruction of the bile ducts and its cause, and can also be used in preparation for surgery. ERCP can also allow a biopsy to be performed, confirming a diagnosis. Laparoscopy: This is often used to confirm how far the cancer has spread. Biopsy: In this procedure, a small sample of tissue is removed and examined for cancerous cells under a microscope. It is the only way to make a definitive diagnosis of cancer. What is the treatment of Gall Bladder Cancer? Treatment for biliary tract cancers depends on the type and stage of cancer as well as on the patient’s age and overall health. The goal of treatment is to completely eliminate the cancer. Unfortunately, this is often not possible and the focus may need to be changed to treating the signs and symptoms the cancer is causing or preventing the tumour from causing more harm. For gallbladder cancer: Surgical removal of the gallbladder usually offers the best hope for people with gallbladder cancer. If the tumour is very small and has not spread to the deeper layers of the gallbladder tissue, the surgeon may perform a simple cholecystectomy, which removes only the gallbladder. If the cancer is more advanced, some liver tissue and nearby lymph nodes are removed along with the gallbladder. For bile duct cancer: Surgery usually offers the best chance for people with bile duct cancer. But the type of surgery varies depending on the location of the cancer and how extensive it is. For example, removing the affected part of the liver treats tumours that are within the liver. Tumours that develop where the hepatic duct leaves the liver (perihilar tumours) are usually treated by surgically removing a portion of the bile duct, the gallbladder, and parts of the liver, pancreas and the small intestine. A tumour that blocks the bile duct can cause pain, jaundice, nausea and vomiting. Tumours located where the pancreatic duct enters the small intestine may block the small intestine, preventing normal passage of food. Tumours may make it difficult to digest and absorb nutrients from the food by blocking the flow of the pancreatic enzymes. The most serious complication of biliary tract cancer is metastasis. Since biliary tract cancers are rarely discovered in the early stages, they often tend to spread to the other organs around the gall bladder, including liver, stomach, pancreas and intestines or to the nearby lymph nodes.